– A 71-year-old man is suing United Airlines for $1 million after he was pushed to the ground by an employee in 2015. The employee was charged with a felony of injuring an elderly individual. A UNITED Airlines employee knocked out a 71-year-old grandad during a disagreement at an airport. 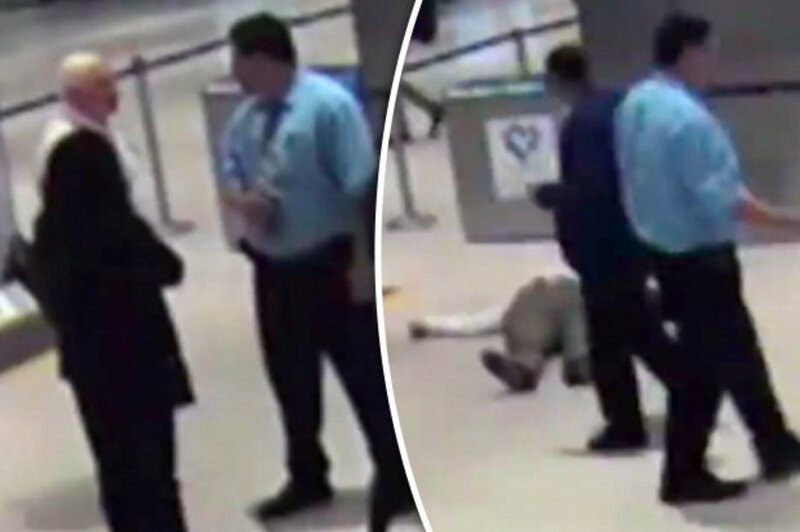 Shocking footage shows the grandad walk up to the United Airlines employee to speak with him. But the United Airlines employee quickly turns and shoves the grandad to the floor. Pensioner Ronald Tigner, 71, reportedly asked United Airlines employee Alejandro Anastasia for a new boarding pass before a brief argument broke out. United Airlines is now being sued for £785,000 after the incident which took place at Houston’s Bush Intercontinental Airport in 2015.